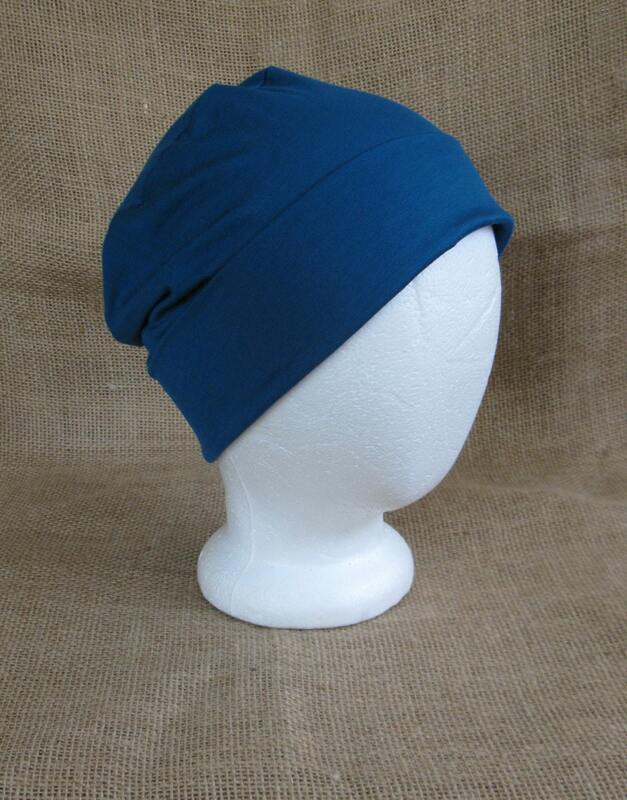 Gorgeous dark teal bamboo and spandex knit jersey chemo hat that is lightweight, ecofriendly, soft, simple and elegant. I bought the cap for my neighbor who has lost her hair from her Chemo treatments. 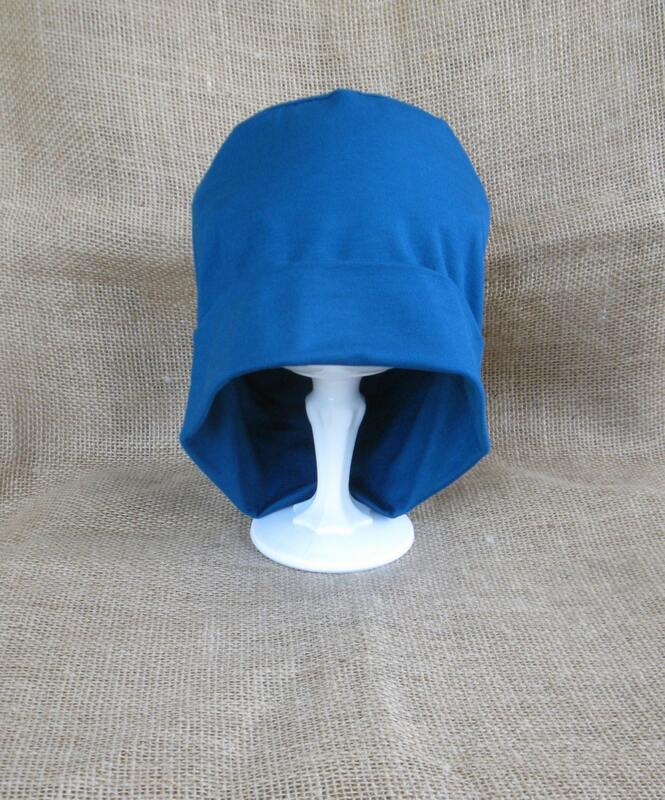 She loves it, she said it's soft, light weight and very comfortable and even wore it during her last hospital stay. 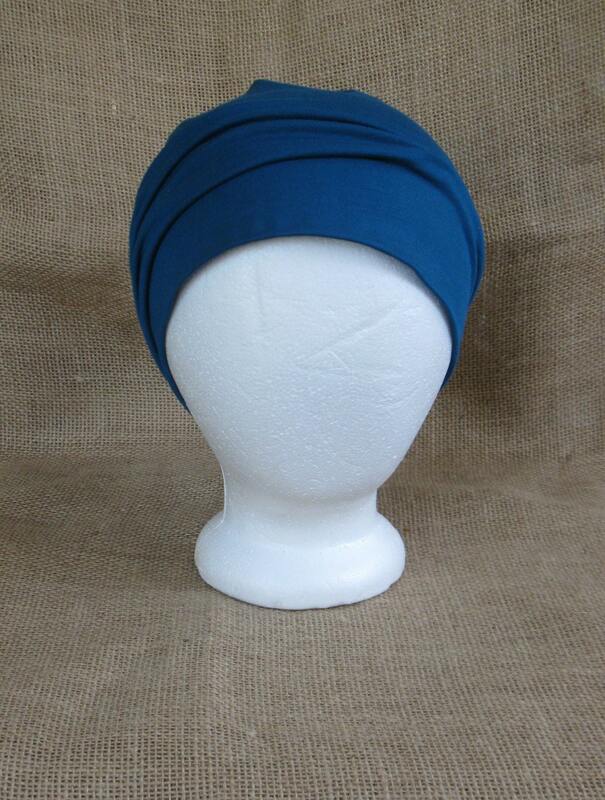 This hat is soft and comfortable and a beautiful color. I've lost my hair due to chemo and this hat is one of my favorites. 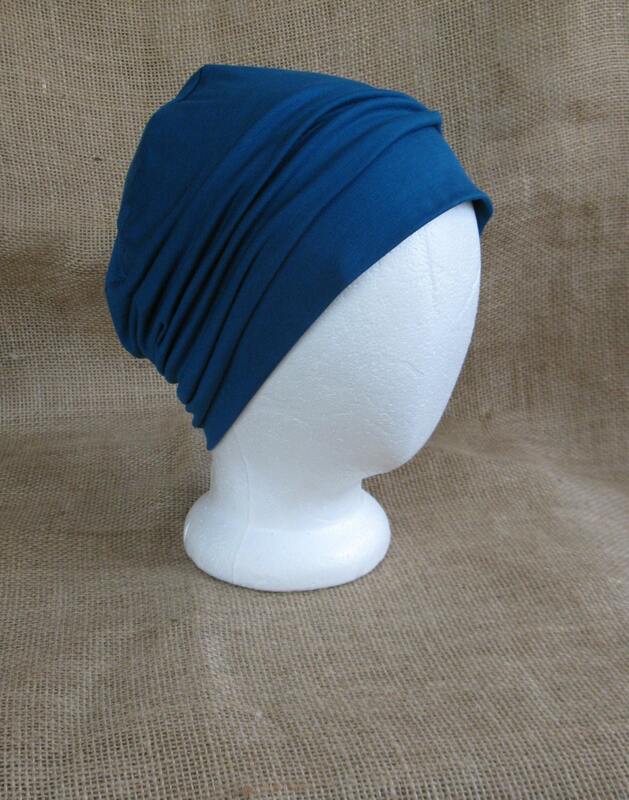 The bamboo fabric is breathable and it's a flattering style.